NAI Isaac is pleased to welcome Lexington Fayette Urban County Human Rights Commission to 342 Waller Avenue. LFUCHRC serves to safeguard the rights of all individuals within Lexington-Fayette County from discrimination in connection with employment, housing and public accommodations. For more information, visit their website at www.lfuchrc.com. Jim Kemper, Vice President and Jamie Adams, Senior Associate with NAI Isaac Commercial properties represented the Landlord in the lease transaction. Kevin Verhoven with The Gibson Company represented the tenant. NAI Isaac Negotiates Lease with Price-Coomer Relocation Services, Inc.
NAI Isaac negotiated a new lease with Price-Coomer Relocation Services, Inc. for a 12,945 sf location at 132 Trade Street in Lexington, Kentucky. 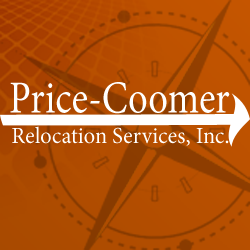 Price-Coomer is a family owned and operated moving and storage company that has served the Lexington and Central Kentucky area since 1977. For more information on Price-Coomer, visit their website at www.pricecoomer.com. Jamie Adams, LEED AP, Senior Associate and Bruce Isaac, SIOR, CCIM, Senior Vice President with NAI Isaac Commercial Properties represented the Owner in the lease transactions. Neal Metcalff and Matt Stone with Sperry Van Ness represented Price-Coomer. 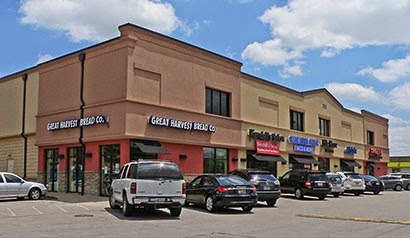 NAI Isaac is pleased to announce the lease renewal of Durango’s at Idle Hour Shopping Center in Lexington, Kentucky. Durango’s has been at this location since 2000. Bruce Isaac, SIOR, CCIM, Senior Vice President and Jim Kemper, Vice President of NAI Isaac Commercial Properties represented the owner during the lease negotiations. Idle Hour Office Suites is part of a 47,818 sf neighborhood shopping center located near Southland Christian Church’s newest campus, Home Depot, University of Kentucky and downtown Lexington. To learn more about current leasing opportunities at Idle Hour, visit our website at www.naiisaac.com.